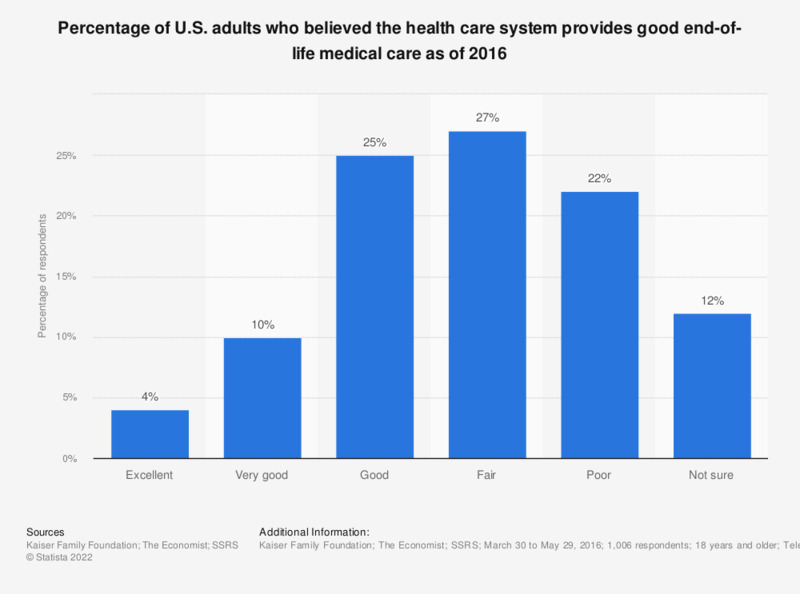 This statistic displays the percentage of adults in the U.S. who believed the health care system provided good end-of-life medical care as of 2016. It was found that almost half of respondents felt the quality of the end-of-life medical care the health care system in the U.S. provided was fair or poor. Original question: "How would you rate the health care system in the U.S. when it comes to providing end-of-life medical care?"